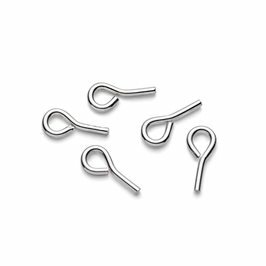 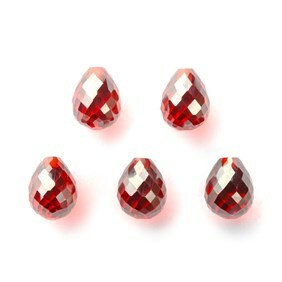 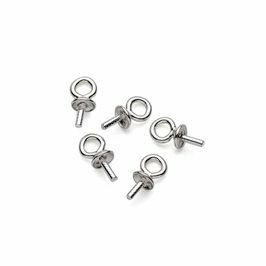 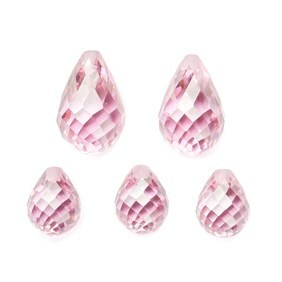 These top drilled pink cubic zirconia faceted drop shape briolette beads are perfect to be used with SF86 peg with a loop (you may need to trim the peg a fraction) to attach to pendants, charm bracelets or earrings. 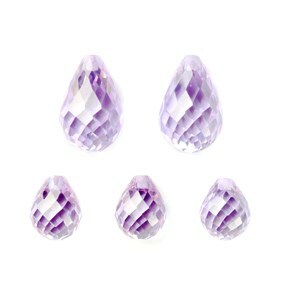 As these delicate drops are covered in facets they really sparkle beautifully when they catch the light. 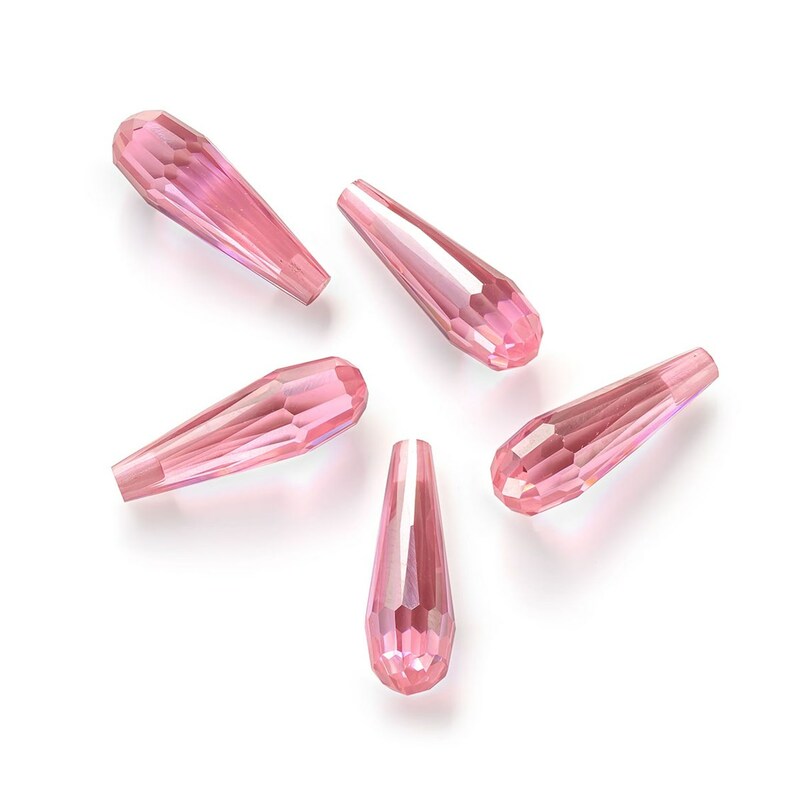 Simply glue in the peg (we recommend using Devcon 5 minute epoxy glue which will fill any little gaps between the stone and the setting and will set clear and another important thing - will set quickly) and attach to your choice of earwire or bail to make a simple pendant or a pair of earring drops.